Meet the organization: Seattle Children's Hospital hosts approximately 357,000 patient visits every year. The hospital, which employs about 5,600 people, has been designated as a best workplace for commuters by the U.S. Environmental Protection Agency and the Department of Transportation, and it received the Diamond Ring Award from Commuter Solutions for its commitment to expanding commute trip reduction efforts each year. 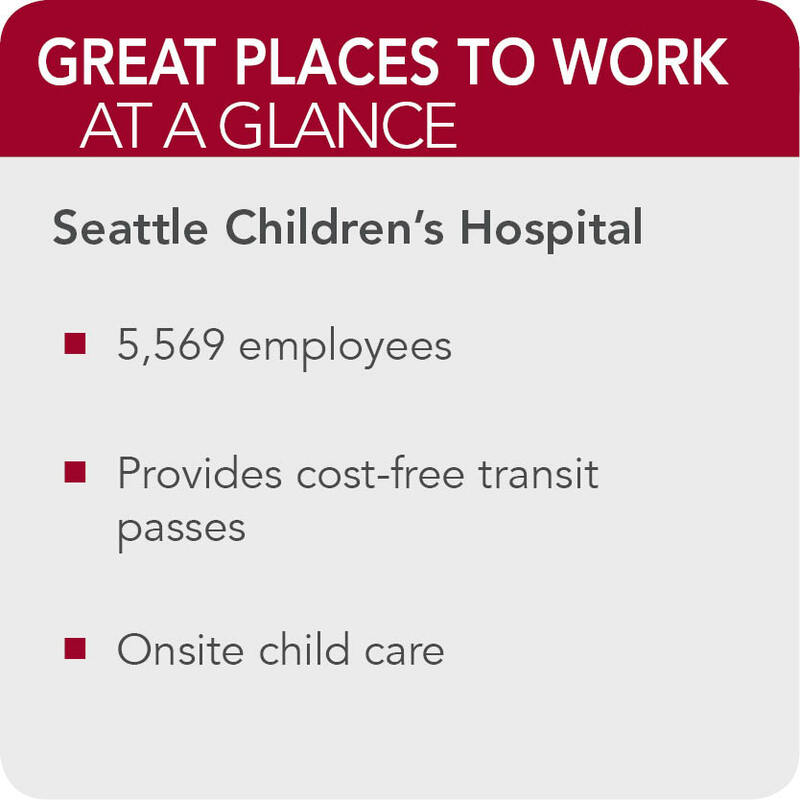 Added benefits: Seattle Children's Hospital offers employees a cost-free transit pass on all regional transit services and routes, daily financial incentives for alternative commute methods and bicycle commuting support. Seattle Children's Hospital also provides a confidential employee assistance program to help with any work or personal issues employees may face. It is available to every member of every employee's household for services ranging from personal crises to legal services to pet-sitting referrals.